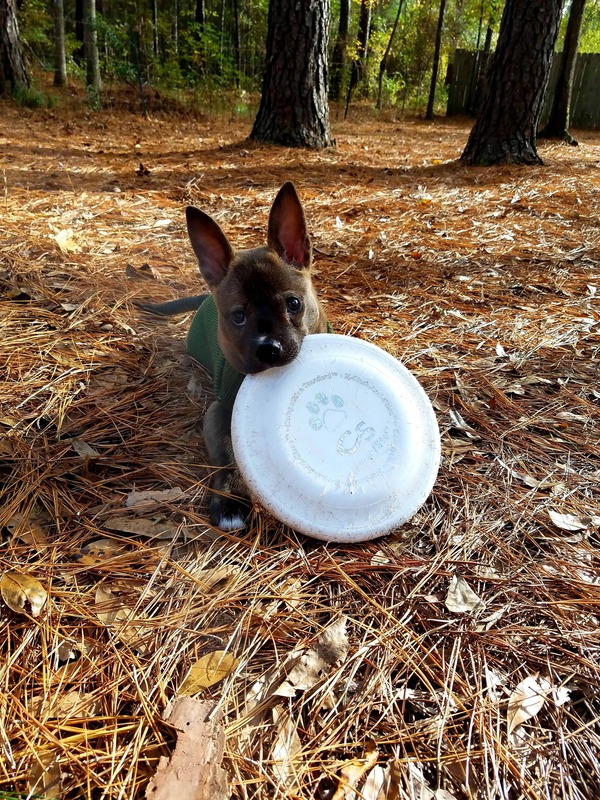 Glory is a great 4 month old pup who loves walks in the woods and loves to play. She has enough vision right now to retrieve a Frisbee and chase balls. 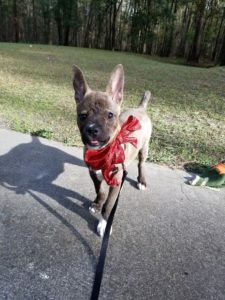 Glory is doing well in her foster home. She is healing from her surgery prior to rescue. She walks well on a leash and is doing great with housebreaking, with an occasional urine accident on a pad in her expen overnight. The shelter said she was Chi mix but we do not see it. We have heard numerous comments about her breed. I will tell you she is a wonderful mix! Glory is a quick learner and loves to give kisses. She is extra cute with her little tongue that sticks out some from her injury. Her little face is a little distorted from her injury. But all of this is improving with age and healing. Glory has a wonderful personality to have been through so much with her injury. To view videos of Glory please click here and here. Glory was adopted on January 4, 2019. Glory is looking for her forever home. If you think it could be yours, read more about Adopting from BDRA before submitting your application below. BDRA relies on your donations to rescue blind dogs around the United States. Please consider giving in support of Glory.